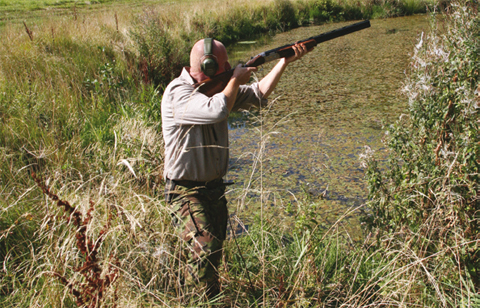 Generally speaking, wildfowling is a world away from driven game shooting. As always, quality is much, much, more important than quantity, but when you’re after duck or geese you’re usually only looking for ‘one for the pot’ and maybe another for the freezer! 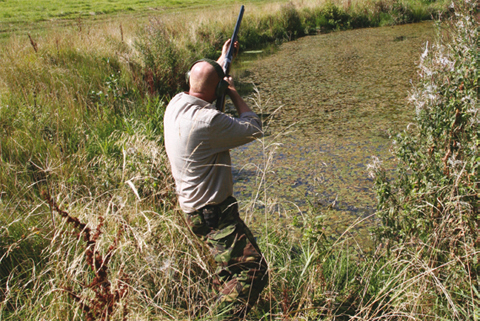 With wildfowling you might only get the odd shot or two – so every cartridge has to count. If this is the case then you’ve got to be confident that every time you pull the trigger the effect will result in a kill. 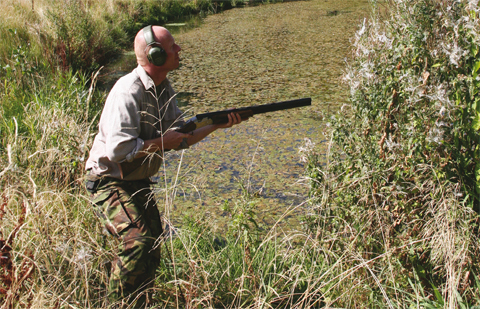 Let’s have a look then at a few of the typical (if there is such a thing) wildfowling situations that we can mock up on the shooting ground. One of the commonest shots you’re likely to encounter on a duck flight pond is a pair of birds whiffling down to drop on the water a few yards from your hide. 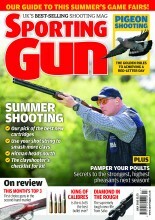 This is an easy bird to recreate on the shooting ground. The trick is to make sure you always take the bird that’s going to disappear from view first. Take the higher target first and you’ll probably find yourself rushing to get down onto the second. The swing will be non-existent and you’ll find yourself stabbing at the target, almost certainly resulting in a miss behind the bird. By the lake you’d take the dropping bird first, waiting, if possible, until it was committed to land before firing. Then you’d get stuck into the bird that was crossing away in front of you. The same is true on the clay ground. Try to adopt a stance that means you don’t have to move your feet to be on the second target. In this way, after you’ve killed the first bird you can then swing up, onto, and ahead of the crossing bird in one smooth movement.